I feel the rush of time moving through the garden. It rides the breeze that brings the cooler weather. 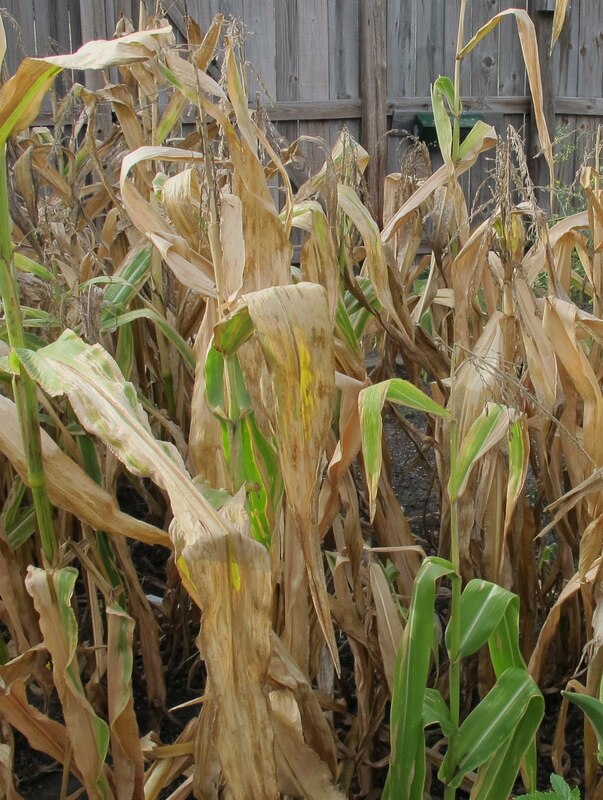 It rattles the dry stalks of corn, still standing in the garden. It scurries by with the first leaves blowing across the patio. There is still much to do as summer winds down. I should be rushing around the garden like I do in the spring. But I feel like taking it much slower, as though my slowing down will slow the passing of this summer into fall and eventually halt the arrival of winter. Henry David Thoreau wrote, “Live in each season as it passes”. I find that difficult to do in the fall. In the fall I am either looking back at what was the garden or planning what will be the garden next spring. Fall planting, after all, is planting for tomorrow, for a new spring, for next summer. But I’ll do my best, as the cooler breeze carries time through the garden, to make the most of each day we have left in this season. That’s all that any of us can do. There is so much truth in that...so many people get "spring fever" in gardening!! Fall is my favorite time to plant, especially perennials. There's no babysitting involved! I do enjoy seeing the garden wind down and go to sleep...although I feel sad to know winter and barrenness is coming, I know I will appreciate it when spring arrives!! I would appreciate fall more this year if most everything wasn't burnt crispy critters. Lovely writing, Carol. Thanks for a philosophical start to the day. 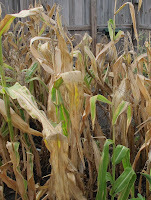 Fall is to be savored, and for bulb planting soon. This is a thoughtful post Carol. When those North winds start blowing and the air cools we do start thinking about the coming season. It is difficult not to think ahead knowing the garden needs to be prepared. Whether it is prepared for the coming season or the coming years. Fall gardening chores are so much less frenzied than spring chores. Clean up and bulb planting and checking out where some fall bloomers might like to live. Lovely post. So insightful - gardeners everywhere share your wish to slow down time to languish in the growing season. That's a great quote that sadly is so hard to do! I'd be rushing around right now, but its raining, has been raining and will be raining. I'm enjoying the downtime, but wishing we could share a little of this rain with Texas. For me, it is sad to have my garden going to sleep for the winter. It always arrives much too soon. It is 40 degrees here in Superior, WI this morning. Learning to slow down and not be in a rush to plan and dream of my garden for next spring is difficult, but I am still learning. Thank you for sharing your beautiful words with us today. So true. We must savor the moment. During the summer months, I don't do much in the garden but water, and pull the occasional weed. By September, I'm itching to do the things I've been thinking about all summer. Some things will have to wait until the rainy season starts next month, but I'm already rearranging and planting in the irrigated parts of the garden. Yesterday, it was spreading Italian arums around. Today, it will be dividing calla lilies, and spreading them around. Fall is when the Italian arums shine. Does that count? Beautiful post. Fall is my favorite season. It is a season of hope and anticipation that all we sow will come bursting forth with life in spring. For me it is a season of dreams of what might be. Words of wisdom, Carol. With the cooler temperatures this week, I am really getting into the mood of autumn and thinking about all I want to get done this fall, too. The best part about fall, though, is that what doesn't get done can easily be postponed until spring. Except for planting bulbs...which reminds me I'd better get my orders in! A deep and thoughtful post, Carol. Thank you for reminding me what some of the important things are.